During our vacation this summer we spent one week at my parent summerhouse. We took a lot of pictures and I wanted to collect them all in one little photo book. This book was also a "thank you gift" for my parents. 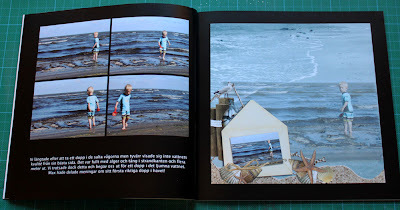 I'm so pleased with the book and I wanted to show you some of the pages. I mixed the pages with both photos and layouts. 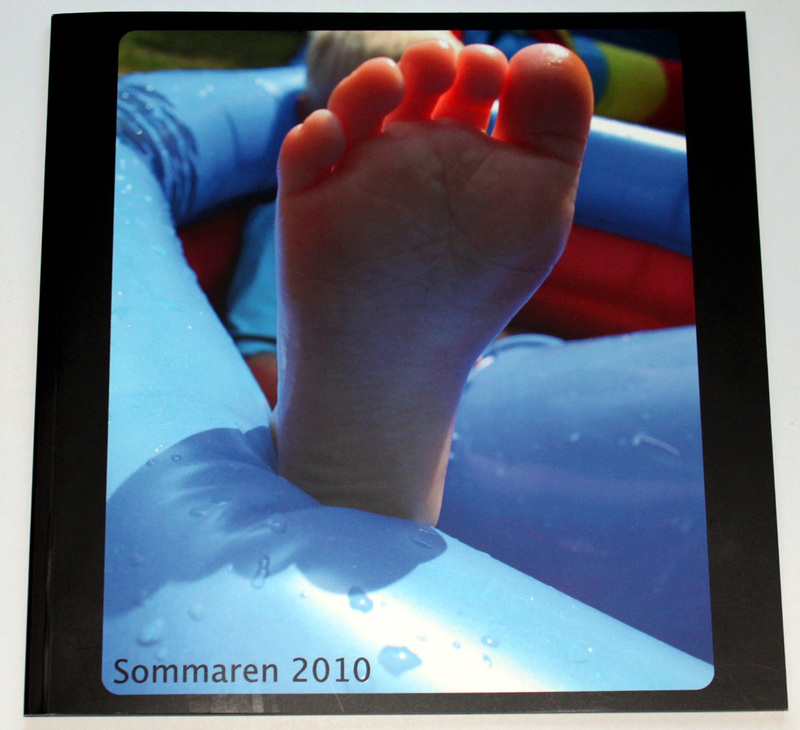 The company used for this book is Photohome, they have excellent paperquality! 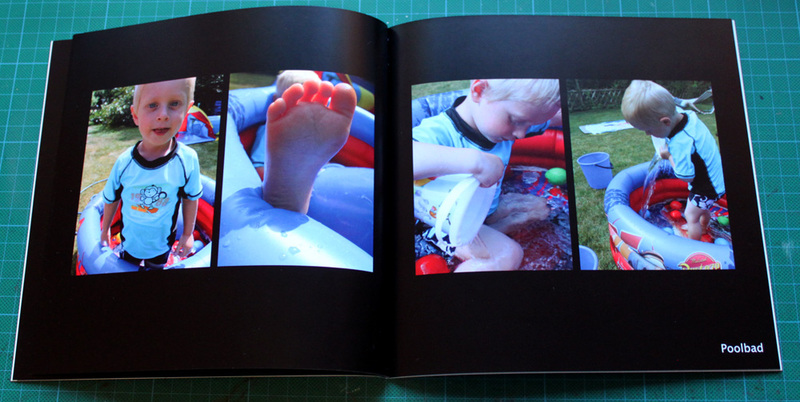 One spread with photos of Max in the small swimmingpool. The summerhouse is just by the beach. 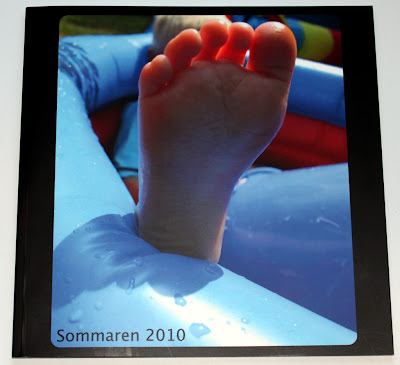 Underbar fotobok! Man borde göra flera sådana.